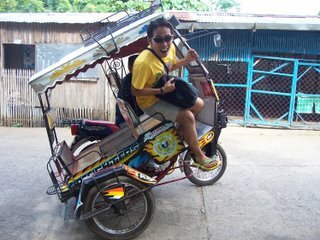 The one thing that I missed so much in Pagadian City was their tricycle. It was the month of May in 2006 when Claire and I went to Pagadian. 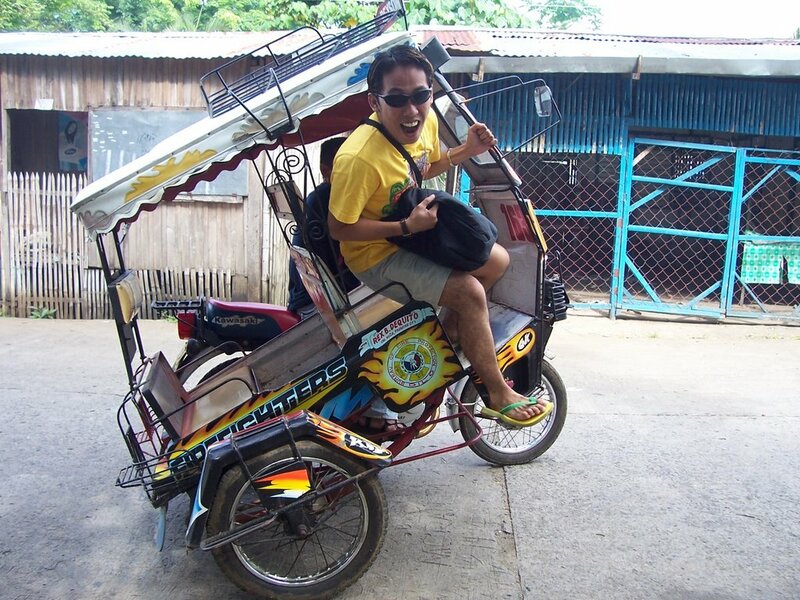 Remember the entry “Riding in Buses with Claire?” That was when Claire and I encountered the very interesting tricycle of Pagadian City. It was a 12-hour bus ride going to Pagadian so when Claire and I finally stepped out of the bus, we were very hungry and tired. For the record, i only ate once that day and it can’t even be considered a real meal for me. Also, what was freakinly annoying was, when we arrived at the Pagadian City bus terminal, we were instructed to ride a jeepney going to the city proper. When we got there, we have to face another extraordinary ride – the tricycle. By the way, i forgot to tell you the reason why Claire and I went to Pagadian. Well, we attended a dance workshop and imagine all the body pain we got everyday and every tricycle ride was a struggle. I have to take my daily dose of alaxan forte. But then again, I enjoyed the trip and that was the most important thing. Also, even if I got back pains after the workshop, I did had a great time with new friends.